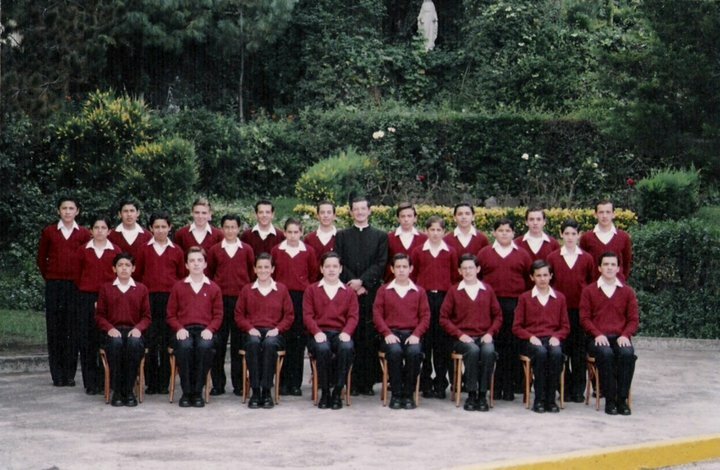 It happens in the USA, in Mexico, Spain, and in whatever country the Catholic Church allows these boarding schools for minors [boys 11-18]. Since I first learned about the serious abuses in the Legion of Christ I have been very interested in following serious investigations such as ReGAIN’s professional investigators like Jason Berry in his Vows of Silence documentary. I admired these independent researchers who are willing to swim against the current. Thanks to a “mistake” by one of the priests I was able to escape. Let me tell my story briefly. From the first moment I felt bad I asked the superiors to let me talk with my parents so they could pick me up. They told me I could not use the phone; that they would let my parents know; but they never did. I NEVER received proper medical attention the two days I was sick to my stomach. They only “allowed me” to miss the 7am and 1pm masses. Otherwise I had to follow the schedule. I could not escape because I knew the entrance gate was always locked. I found this out because one day that I wanted to go out and buy something to eat they would not let me out, under the pretence that I could only eat at the appointed times, and whenever the fathers opened a little shop at the edge of the playground. I also found out they had a small library on the second floor: with a sitting area, TV, phone, and magazines “For the exclusive use of the priests”. Most of the time the library was locked. I accidentally discovered that place the day I arrived looking for the dormitories. They realized that I had gone in there and they strictly prohibited me from going in again. After I realized that my parents were not coming for me, I got desperate and remembered there was a phone in the library. On several occasions I tried to get in but the door was locked. Full of fear they would discover my plan I started staking out the door; whenever I saw a priest coming out of there I would rush over to see if I could get in… After many attempts I got lucky and was able to slip in and call home. I get anxious just remembering those moments of anguish. That is why I get very angry knowing that many other youth had a worse time than me in places like that. Thanks for reading this. This is one way of getting it off my chest and facing my fear. valientes -como usted- de nadar a contracorriente. Dicho interés obedece a corroborar en cada testimonio de las víctimas, esos presentimientos que sentí cuando estuve dentro del Seminario de los Legionarios de Cristo en León Guanajuato México. Me dejaron un “amargo sabor de boca”, que no quisiera volver a vivir jamás, y que lamento mucho que otros jóvenes no hayan salido a tiempo de ahí. No podía escapar, porque sabía que la puerta de entrada siempre estaba cerrada con llave. Me enteré de eso, porque un día quise salir a comprar algo de comer y me negaron la salida, argumentando que sólo podía comer en los horarios destinados para ello, y cuando ellos decidieran abrir una pequeña tiendita que tenían al lado de la cancha multiusos. También sabía que en el segundo piso tenían una pequeña biblioteca: contaba con una sala, TV, teléfono y Revistas “para uso de los sacerdotes”. La mayor parte del tiempo la tenían cerrada con candado. Yo me enteré de casualidad que existía ese lugar el primer día de mi llegada, buscando los dormitorios. Se enteraron que yo había entrado ahí y me prohibieron tajantemente que lo volviera a hacer. Después de darme cuenta que mis papás no llegaban por mí, me entró más pánico, y me acordé que en esa biblioteca había un teléfono. En varias ocasiones traté de entrar y estaba cerrada. Lleno de miedo por temor a que descubrieran mi plan, me dediqué a vigilar la puerta y cada vez que salía un sacerdote de ahí, inmediatamente me acercaba y veía si la dejaban abierta…hasta que el descuido de uno de ellos, me permitió acceder y hablar a mi casa. accedieron a llamarme. En cuanto los vi, ni siquiera quise entrar solo nuevamente a las instalaciones. Mi papá me acompañó por mis cosas al dormitorio, y enseguida le dije que me quería ir de ahí. Todo lo demás es historia. Me pongo nervioso tan sólo de volver a recordar esos momentos de angustia. Y es por eso que me da mucha rabia saber que hubo otros jóvenes que pasaron peores cosas que yo en ese tipo de lugares. Gracias por leerme, ya que es una manera de volver a desahogar y enfrentar el miedo. Deseo que mi testimonio sirva como impulso y apoyo, para las nobles labores que ustedes hacen, defendiendo y pidiendo justicia para las víctimas de ésta gente enferma. 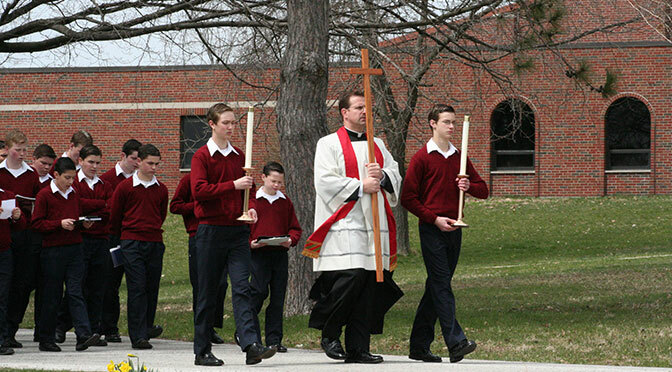 If you are leaving the Legion or Regnum Christi and need help getting on your feet, ReGAIN can put you in contact with families who can and want to help you. You are not alone! Le deuxième personnage le plus puissant de la Légion du Christ a-t-il agressé sexuellement un jeune adolescent ? All data and information provided on this site is for informational purposes only. The ReGAIN Blog makes no representations as to accuracy, completeness, currentness, suitability, or validity of any information on this site & will not be liable for any errors, omissions, or delays in this information or any losses, injuries, or damages arising from its display or use. All information is provided on an as-is basis. The information contained in this site is for general guidance on matters of interest only. The application and impact of laws can vary widely based on the specific facts involved. Given the changing nature of laws, rules and regulations, and the inherent hazards of electronic communication, there may be delays, omissions or inaccuracies in information contained in this site. While we have made every attempt to ensure that the information contained in this site has been obtained from reliable sources, ReGAIN is not responsible for any errors or omissions, or for the results obtained from the use of this information. All information in this site is provided "as is", with no guarantee of completeness, accuracy, timeliness or of the results obtained from the use of this information, and without warranty of any kind, express or implied, including, but not limited to warranties of performance, merchantability and fitness for a particular purpose. In no event will ReGAIN, its related partnerships or corporations, or the partners or employees thereof be liable to you or anyone else for any decision made or action taken in reliance on the information in this Site or for any consequential, special or similar damages, even if advised of the possibility of such damages. Certain links in this site connect to other websites maintained by third parties over whom ReGAIN has no control. ReGAIN makes no representations as to the accuracy or any other aspect of information contained in other websites. All image on this site have a license classified as "Labeled for Reuse", and are being used under that license. If you have a concern about any posting or comment being factually incorrect, please contact us. Please provide details of who you are, how we can contact you, what your interest is, and what your concern is. If something has been written that is factually incorrect, it will be immediately addressed. Anonymous complaints will be ignored.